Home > News > Visitors from Norway! The group hosted a great two week visit from Einar Uggerud and students Sverre Løyland and Joakim Jestilä. 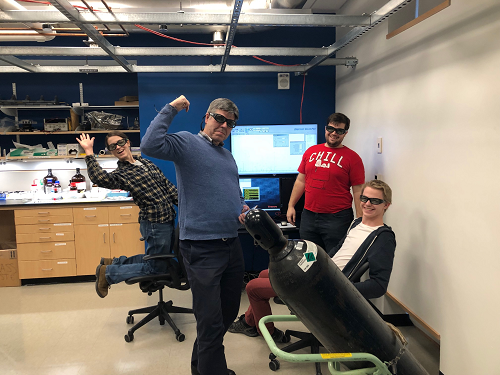 They brought with them two very interesting, and challenging problems involving CO2 activation and docking with metal anions. We hope to visit their labs soon carrying results!